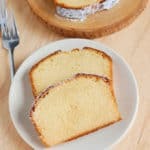 I spent months testing cake batter mixing methods and ingredients to achieve Pound Cake Perfection. 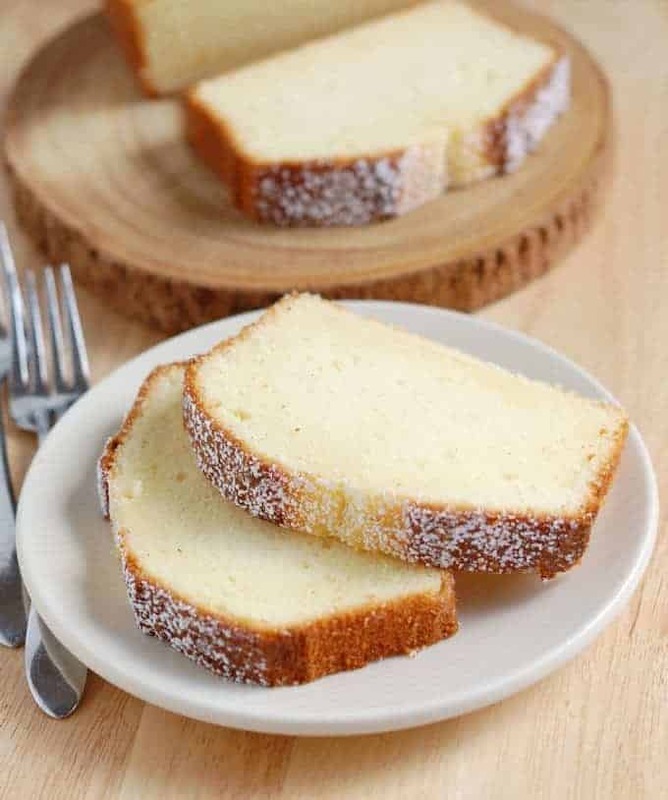 This Sour Cream Pound Cake is a variation of my favorite all-butter cake. 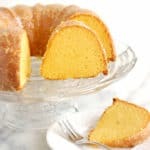 If you’ve read through my “Cake Batter Course” you know that it took lots of work and testing to come up with a really great pound cake recipe. 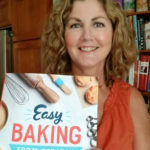 If you’re interested, over 7 classes (blog posts) you can learn all about the ingredients and mixing methods for cake batter. It’s pretty detailed stuff, but what you learn about baking can be applied to all your recipes, not just cake batter. 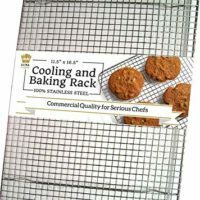 And it’s free here on Baking Sense. Anyway, for this pound cake I used sour cream in place of whole milk as the liquid in the batter. Since sour cream is acidic it adds a nice flavor to the cake and the acidity tenderizes the cake crumb. If you have read through the “Cake Batter Course” (first of all THANKS) you might notice that even though I’ve added an acidic ingredient to the recipe, I haven’t used any baking soda. I purposely did this because I didn’t want to neutralize the acidity of the sour cream. I wanted a little edge to the flavor. This really is a melt-in-your-mouth cake. It’s also a super easy recipe to make. I use my favorite reverse creaming method and it’s mixed in one bowl. 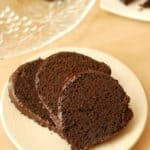 This cake bakes up nicely in the traditional loaf shape or you can bake it in a Bundt pan for a pretty presentation. I think you only need a sprinkle of powdered sugar for a pretty finish. But is would also be delicious with fresh berries and cream for a more indulgent dessert. If you like this recipe as much as I do, please consider giving it a 5-star review. Preheat the oven to 350°F. Butter and flour a 9"x5" loaf pan or 12 cup Bundt pan. Combine the eggs, vanilla and half of the sour cream in a small bowl, whisk to combine and set aside. Sift together the flour, salt and baking powder in a mixing bowl. Add the sugar to the flour and mix at low speed for 30 seconds. Add the butter to the flour and mix until combined. Add the remaining sour cream and increase the speed to medium high. Mix for a full 2-3 minutes. The batter will lighten in color and texture. 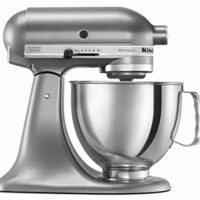 If using a hand mixer add another minute to the mixing time. Scrape the bowl and beater thoroughly. On low speed, add the egg mixture in 3 increments, scraping the bowl after each addition. Bake at 350°F until a toothpick inserted in the middle comes out clean (about 55 minutes). I just made this pound cake and it’s moist with just enough sweetness. The taste and texture is eggy and spongy. Is that how the recipe was supposed to be? Hmmm, it’s hard to know exactly how someone else would describe the texture. I wouldn’t say eggy and spongy. I think of this cake as tender, buttery and melt in your mouth. Do you have a photo? Unfortunately, I didn’t take a picture because I gave the pound cake away. I think it was due to having so many eggs/egg yolks in the cake and less flour. Most recipes call for about 3 cups of regular flour. Did you use large eggs? More flour would make the cake drier and heavier and regular flour rather than cake flour would make a chewier cake. Yes, I used large eggs, followed the recipe exactly and I weighed the dry ingredients. Thanks for trying to trouble shoot. Sure. Thanks for visiting the blog. 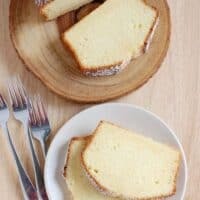 I love pound cakes and was happy with my sour cream pound cake until I finished trying your recipe. It is the best recipe ever! Thank you so much for sharing the recipe. Thanks, Linda! I love a good pound cake too. They’re just so satisfying. Hi dear .. Is the granulated sugar in the cups measurement accurate? I can see 8 oz of cake flour equals to 1 ¾ cups in ur recipe and 10 oz of sugar = 1 ¼ cups? please let me know as am planning to bake it this week .. Yes, the weights & measures of all ingredients are accurate. Sugar is more dense than flour so a cup of flour will weigh less than a cup of sugar. Just use either the volume or weight measures as listed and the recipe will work. I absolutely love this recipe. I wanted to make a red velvet pound cake using this recipe as a base but replacing the sour cream with buttermilk and adding 3 tablespoons of cocoa powder and red food colouring. As Baking soda and white wine vinegar is required in a red velvet cake would adding this change the structure of the cake? Hi Sharma, first of all, I like the way you think! Off the top of my head I would say this is possible. But you might have to do a few test runs to get the recipe just right. As far as replacing sour cream with buttermilk, the main consideration is that buttermilk has more water than sour cream does. My Pound Cake Perfection recipe has 1/4 cup of milk. I would suggest you start with 1/4 cup of buttermilk. However much cocoa powder you use, reduce the flour by the same amount. As far as the vinegar & baking soda-You need just a 1/2 tsp of baking soda to neutralize the acid in a cup of an acidic ingredient. 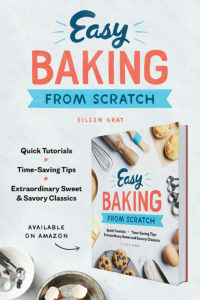 Depending how much vinegar you use, I would think just 1/8 tsp of baking soda would work (since you also have the buttermilk in the recipe you should hopefully be safe from making a soapy flavor). The red food coloring shouldn’t have too much affect. But I would use a paste coloring, not the liquid coloring you get in the grocery store. That way you’ll add less liquid. Please let me know how it works out. I might do some experimenting of my own. Thank you so much for your response. I will definitely try a few test runs and let you know how I get on. How did the red velvet version turn out. I haven’t tried a red velvet version yet. Not sure if Sharma ever tried it. It is on my list of recipes to develop. Just haven’t gotten there yet. 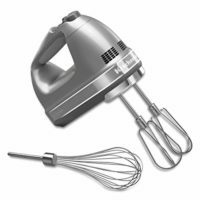 Hi… I have a hand mixer only… Was wondering if the reverse creaming method would work in this case. Am worried it may lead to over mixing the batter. Please do let me know if I can use the same method or stick to the regular creaming method. Hi Shirley, I have used a hand mixer to do reverse creaming. It may take a little longer to get the butter worked into the flour since the beaters tend to be fairly open. Make sure your butter is softened to room temperature and add the sour cream right away to make it easier to mix in the butter. The great thing about reverse creaming is that you can’t really over mix the batter before the eggs go in. But, also as an FYI, this recipe could certainly be made with the traditional creaming method. ur but in the direction it said the other 1/2 cup of sour cream, so is there a cup of sour cream? Hi Annie – The sour cream is added in two increments. Half goes in with the eggs and the other half is mixed with the flour and butter. I’ve reworded the recipe to make it clearer. Thanks for the feedback. 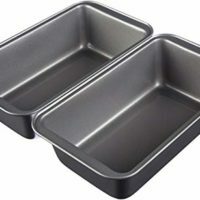 I usually bake pound cake on a 12 cup tube pan. 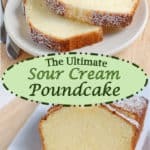 How would the recipe for sour cream pound cake need to be changed in order to get a bigger cake? I think this recipe would work in a tube pan. If you want a larger cake you could make 1.5x the recipe. Or you could bake it as is and it will be a slightly shorter cake. You’ll have to adjust the baking time for a larger cake. i want to try this recipe,but i have a doubt. doesnt the cake smell eggy? Which version you prefer? The original one with milk or this one with sour cream? Which one has a better texture (which for me means more light or more spongy)? Thanks. Hmmm, I really like both. 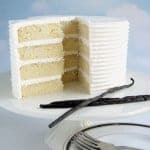 The Sour Cream cake has the slightest tang to it and it is more tender and probably a little more dense (in a good way). 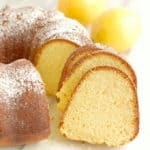 These pound cakes are not light and spongy, they’re tender and melt-in-your-mouth. That’s my favorite kind of pound cake. 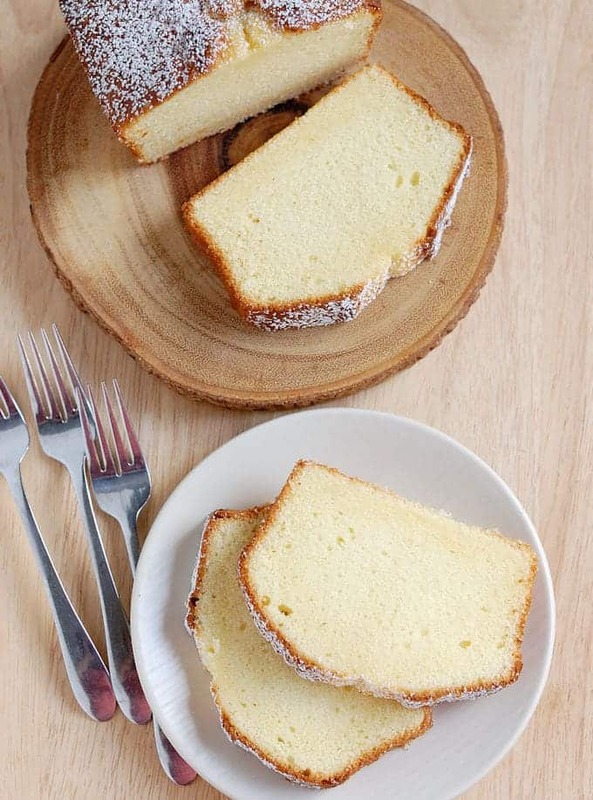 If you like cake that is more light and spongy I would recommend my Vanilla Cake.